Two-piece ultra clear holders with snap-tight closure and minimal trim. Can be stacked for easy storage and transport. Ultra-PRO, Pro-Mold and other brands. 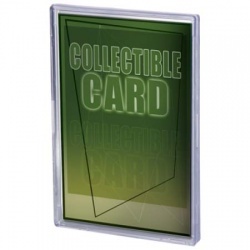 Holds 2-1/2" x 3-1/2" (63.5 mm x 88.9 mm) standard cards. CASE QUANTITY. 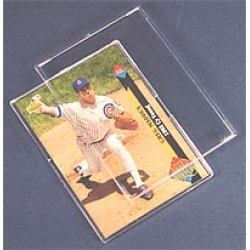 Holds 2-1/2" x 3-1/2" (63.5 mm x 88.9 mm) standard cards. 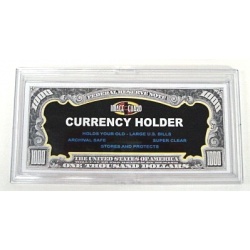 Stores and protects large US bills, tickets and other similarly-sized collectibles. 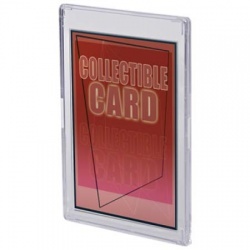 Two-piece snap design fits standard trading card boxes. 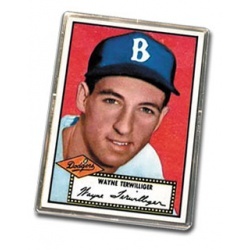 Holds cards such as 1952 to 1956 Baseball and Football Cards, 1989 Bowman Baseball, etc. 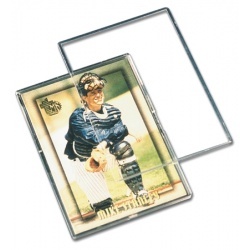 Holds 2-1/2" x 3-1/2" (63.5 mm x 88.9 mm) standard cards. Two-piece ultra clear holders with snap-tight closure and minimal trim. Can be stacked for easy storage and transport. Made with PVC-free and acid-free materials. This is a case of 400 snaps. 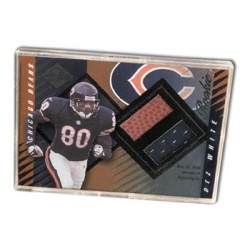 If you are looking for individual snaps, see this item instead. 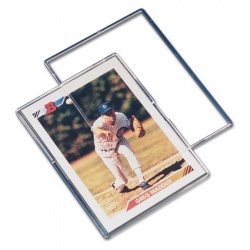 Holds 2-1/2" x 3-1/2" (63.5 mm x 88.9 mm) standard cards. 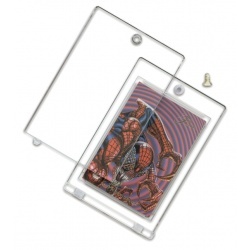 Two-piece ultra clear holders with recessed design to frame your valuable card. Can be stacked for easy storage and transport. Made with PVC-free and acid-free materials. Inside dimensions: .022" x 2.5" x 3.5"
Outside dimensions: .185" x 2.66" x 3.65"
Inside dimensions: .033" x 2.68" x 3.89"
Outside dimensions: .027" x 2.89" x 3.93"
Inside dimensions: .070" x 2.56" x 3.54"
Outside dimensions: .243" x 2.79" x 3.65"
Inside dimensions: .050" x 2.53" x 3.53"
Outside dimensions: .273" x 2.88" x 4.02"